You know those friends who know exactly what to watch and never steer you wrong? The friend who had an actual Smoke Monster terrorize guests during LOST watch parties? That other friend who does 7,000-word recaps of The Bachelor? These are (literally) those kinds of friends: Knox McCoy and Jamie Golden! 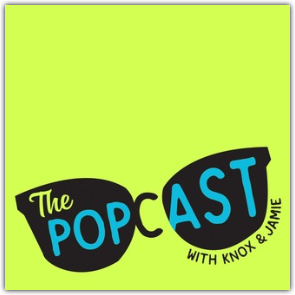 Knox and Jamie are the hosts of The Popcast, a delightful show that, in Knox and Jamie’s words, “educates us on the things that entertain but do not matter.” Today, these pop culture partners-in-crime wrap up For the Love of TV and give us a gazillion shows we need to binge-watch: comedies, dramas, nuggets from TV shows past, their all-time favorites. Plus, they give us some tips on what not to watch with your family at the holidays (your grandma is thanking us already). This conversation will have you rolling, as will Knox’s debut book, The Wondering Years: How Pop Culture Helped Me Answer Life’s Biggest Questions. We even break out a little TV geek and talk about why there’s (finally!) so much diversity onscreen and what the future of entertainment holds. Jen: Welcome to the show! Jen here, and before we get started, I wanted to take a quick minute to tell you about a great holiday gift idea for the people in your life who love fashion AND knowing their gift is giving back to help others! Better Life Bags is a missional business in the heart of Detroit, Michigan, employing women with barriers to traditional employment—primarily immigrants and refugees. Better Life Bags is making a difference on so many levels—number one, for these women who are learning skills and creating new relationships, and number two, in the community. 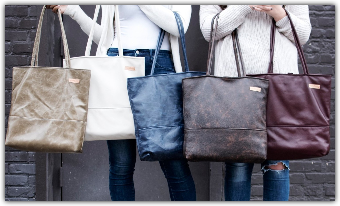 The bonus to us is that we can customize beautiful, high-quality leather and fabric bags that they create, PLUS design them ourselves on the interactive Better Life Bags website! 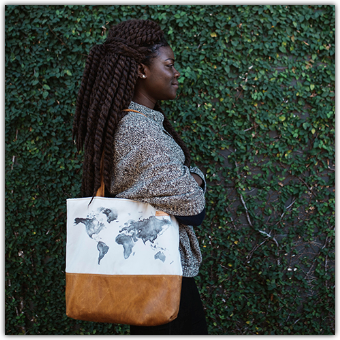 The last day to order a “Design Your Own bag” and receive it by Christmas is December 3rd, and if you order in November, they're offering FREE shipping for the entire month. AND if that wasn't enough, just for listeners of the For the Love podcast, you'll get 10% off when you check out by using the code FORTHELOVE. Go to betterlifebags.com to start designing your bag today, and get 10% off using the code FORTHELOVE. Now, let's get to today's show! 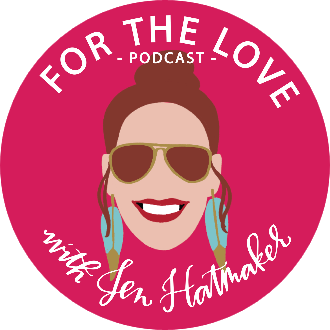 Jen: Hey everybody, Jen Hatmaker, your host of For the Love Podcast. Welcome back to our lovely little podcast community. I'm so happy to have you here. I don't know if you have swooned like I have over the series we've been in, For the Love of TV. I mean, come on. TV is literally one of my favorite things. Shows, movies, this is what I love. So talking to all of these lovely, wonderful people who make it and consume it and create it and act is giving me so much life. I am so here for it. Don't be surprised if this series makes a comeback. I am just saying that is a very high possibility. Okay, look, I am such a big fan of our guests today. If you don't already know them, I can absolutely, 100% guarantee that you will want to subscribe to their podcast the very second you finish this episode, because they are so funny and so entertaining and so good. So my guests today are Knox McCoy and Jamie Golden. You may know them as the co-hosts of The Popcast, which in their words is, "The show that educates you on the things that entertain but do not matter." Oh, they made me laugh so hard during this interview, too, you guys. I can't wait for you to listen to it. Every single week, Knox and Jamie just delight their audience when they talk about all things pop culture: silly celebrities, ridiculous trends, conversation-worthy TV, shows, movies, books, everything. It's just so much fun. So here's why we need Knox and Jamie in our lives. There's, number one, more pop culture to consume than ever, you guys, and we need to get on it. So we need these brave pioneers who will sort through the clutter so we don't have to, and give us all these golden nuggets we can just pop right into our TVs and our phones. So I say that Knox and Jamie are providing a very great public service for us. They give us their current favorites, their favorites of all time during this episode, and probably most importantly, what we need to be watching during holiday season with our families. They give us a lot of ideas in this episode. So don't you worry one bit. If we mention too much, we'll have it all linked in the Transcript page over at jenhatmaker.com under the Podcast tab. It will all be waiting for you there so you can click and consume to your heart's content. These two are so much fun, you guys. They met on the internet, they'll tell us about that. They each live in Birmingham. Knox just wrote a hilarious book, which we will rap about. We will get their perspective on all things ridiculous, hilarious, and entertaining. 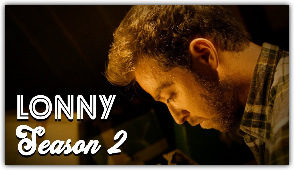 So, you guys, without any further ado, let's welcome Knox and Jamie to the show. Okay, I am very, very happy to have you on my show, Knox and Jamie, welcome aboard. Knox: Thank you so much for having us. Jen: So I'm really, really happy to have you on the For the Love show, but before we get started, I want to just mention probably what everybody's thinking. Just I want to definitely address the elephant in the room. Earlier this year, your show, The Popcast, held a Miss Jenn-ited States of America Pageant. Jenn-ited, J-E-N-N, Jenn-ited. I was very honored to be one of your nominees. I felt like that was an amazing moment in my career. Jen: I do feel sad that I wasn't crowned. I'm not going to lie to you, I realize it was a tough competition. I realize that I lost to Jennifer Lopez, a worthy contestant. I'm attempting to say that we're all winners, but I would just like to know what went sideways, and how can I improve my chances for perhaps next year’s contest. Jamie: First of all, it's at tough panel of judges. They're just so critical of every little thing. Plus, JLo is getting on with the abs of a 19-year-old Olympic gymnast and her net worth is 380 million. So it's really difficult. You were awarded Miss Congeniality, so I think that is some sort of treat. Knox: You know, like in the NBA, they say you have to advance, you have to get to the NBA finals and lose before could win. That's what I'm thinking for you. You have to get there before you can win. You know what I'm saying? Jen: What do you suggest I work on this calendar year for next year's showing? Knox: Well, I mean, personally, like if you're listening—ear muffs really quick—bribery works great, like for me, personally. I made eye contact with Common at an Atlanta airport one time, and I defend his music like I'm his bodyguard right now. So we're very open to bribery and stuff like that. Jamie: Yes, Of Mess and Moxie and money. Jen: I'm hearing what you're saying. I'm picking up what you're laying down. I’m not above it. I just want you to know that I'm not. I'm really competitive—I'm a 3 on the Enneagram—so I just need you to understand that I took that loss hard. Jamie: Oh, gosh. I know, and we're a 5 and a 7, so we haven't thought about it again. Jen: Okay, look, I've told our listeners about your show. Of course, a ton of them listen to it already at The Popcast. But here's the first thing we're going to get out of the way before we get into it. You can tell a lot about a person by the shows they watch. It's like one of my key criteria for friendships, for mentors, for pastors, whatever the thing is in my life. So I want to hear from each of you, and you only get to pick one no matter what. What is your favorite TV show of all time and why? I would like your defense of it. You have to select one, because that's the rules. Jamie: Well, I do think you're right. I do think you can know a lot about a person, because my mom loves likes a sexual crime that's solved in sixty minutes. Jamie: And so that tells you a lot about her. 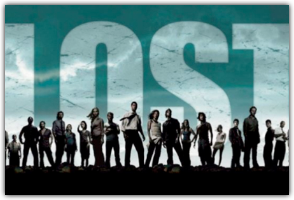 So my favorite show of all time is LOST. It was because of J.J. Abrams. He had convinced me that I needed to move to New York for college through Felicity. 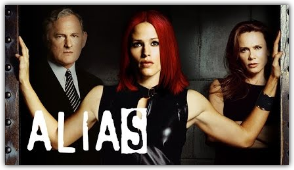 He taught me that I could be a CIA spy through Alias. So when he helped create LOST, I was like, I'm all in. And it was really my favorite, not only because it was when I would visit television without pity and seek out spoilers, but I also hosted parties and I would send Oceanic Airline tickets as invitations. I had a smoke monster that went through my house during those parties. And it was my nerd people. We all dressed up, and it was just a magical watching experience. Jen: So did you watch that in real time, like, in live time, as in every week when it would come on television? Jamie: Yes, every week. It was like, "Guys, do not call me. Even though I have DVR, I am online with people in a forum talking about every scene." It was that cool. It sounds cool, when I say it. So yeah, it was cool. Jen: It sure does. Listen, LOST had that effect on a lot of people. My husband and my sons, we missed LOST. I don't know why. I can't remember what year it aired. Do you know? Can you remember? Jamie: It was 2004? Was that right, when it started? Knox: Yeah, it's in that ballpark. It was in that ballpark. Jen: Yes, okay, well that now makes sense, because my kids were kindergartners, so that's why they didn't watch it. But they watched the whole thing later on a binge in two weeks, and you know how long it was. Jen: If you can think of watching that show in a two-week time span. I mean, they were unshowered, like, terrifying creatures, just sitting on the couch all day long. I lost them there for a minute. Jamie: It's like six seasons of 22 episodes. That's a lot of television. Jen: It really was. It really was. I'm not proud of them, I'm just trying to relay the facts. Okay, how about you Knox? 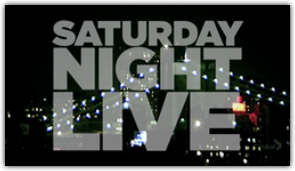 Knox: Ah, you know, I don't know if this counts, so you can dismiss this if you want, but I would pick Saturday Night Live. Here's why: it's lasted over 40 years. The cast are always evolving and rotating. And when you think about the prominent place it takes up in like cultural dialogue, and how it's been a finishing school for comedy stars, I feel like you can't deny the greatness of SNL. Jen: I'm 100% in your camp right now. I have watched SNL my whole life. If you had to pick your favorite season cast, just like sort of an era of SNL, what would you pick? Knox: You know, probably the formative years for me was the Chris Farley, David Spade, Adam Sandler, Phil Hartman, like that whole crew, that whole squad. That was right there in my teenage years. That made the biggest . . . there were so many terrible impressions of Chris Farley that that authored, unfortunately, but it did resonate with me in a big way. Jen: Oh, me too. A lot of my comedy heroes have come out of that show. I think that's a good answer. Alright, let's roll it back a little bit. When you guys were little Knox and little Jamie. And just take turns on this. Where did you grow up? What were yo into? Were you little pop culture nerds? Did you find other little pop culture nerds? 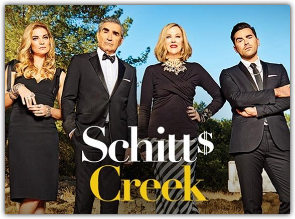 Because until we can kind of find our people who are willing, for example, to talk absolutely endlessly about, let's just say, Schitt's Creek—one of my current faves—we don't really know where we belong. So tell us a little bit about what you guys were like, and when did you steer the ship into this delightful world of entertainment? Knox: Okay, I like that. I like the idea that you're talking about of like having to do the two-step around someone to be like, "Is this person on a level where I can talk about Schitt's Creek, or do I just need to keep it like really general with them?" That's really at home with who we've become. But for me, basically until June of this year, I lived most of my life outside of Chattanooga, Tennessee. I was big into sports. My plan in life, on my vision board, was like professional baseball player. That's going to be it. But it turns out . . . like, I don't know if you guys are big baseball heads, but if you can't hit a curveball or a slider or a changeup, that's tough. Jen: That's what I heard. Knox: Yeah, that's, like, half the battle. So you know, didn't work out for me, but that's cool, whatever. But I always loved books. I taught myself to read by stealing my sister's Baby-Sitters Club books. Knox: My parents, they love TV and movies, so I came by that really honestly. 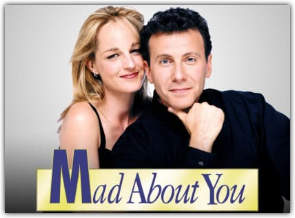 I remember watching like Wings and Mad About You with them, and just keeping it very chill, like, no one make a big deal about it. But you know, honestly, I think I never really had a crew. If I had to answer honestly, it would probably by my parents and my sister. Let me turn to question to you, Jen. Is that the saddest, most introverted thing you've ever heard in your life? Jen: No, not at all. My family's absolutely my entertainment crew. Knox: Okay, good, thank you. Jen: I don't know what your family is like, Knox, but I'm the oldest of four kids. All of us fancy ourselves hilarious, every one of us. We think we are the funniest, most entertaining, delightful family you've ever known. TV and movies were our shared love language. So to this living day, I could start a group text right this minute on my phone with my sisters and my brother and my parents, and we could just do straight quotes, TV and movie quotes. We could do it for 100 years and never run out. Knox: I love it, I love it. Jen: Okay, alright. How about you, Jamie? Jamie: Well, so for me, I grew up in a farming community outside of Birmingham, Alabama. My parents were pure as the driven snow. So they did not support my Lisa Frank, Sweet Valley High obsessions that I had, or the fact that all I did all day was make friendship bracelets, because I was headed to a party where we're going to . . . “We're going to have a Cabbage Patch party!” or, “We're going to have a Garbage Pail Kids party!” I absolutely had found friends who were obsessed with pop culture in the way that I was. Like, my friend Stacy was like, "Come over, I have MTV," and it was like, "Ahh." Jamie: I mean, it was such a magical time to be able to just watch music videos for hours on end and fall asleep in front of the TV. For me, I had social interactions, unlike Knox. Knox: Well, let me just chime in here, Jamie. My favorite story about Jamie is as a kid, she was so thirsty for friends, she would take a broomstick and play lightsabers out in the woods by her house, just because she liked it. Jamie: I believed that I was Princess Leia. I just had to believe it, and then I would achieve it. Jamie: So that's what I was doing in the woods when I was little. Jen: I just think that's a sign of a really bright imagination. Jen: That’s how all geniuses got their start. There's no shame in that game at all. Yeah, I can deeply appreciate that. Also, I don't know how this was for you, but MTV was forbidden in my home, because of the devil—the devil’s in the music. Also, the devil in the videos. So when I got to go to a friend's house whose parents, I guess, didn't care about them—that's how my parents sold it to me, didn't care about their spiritual formation—we could just watch MTV for, like, 14 straight hours. That was really my best life. Jamie: To be able to watch Madonna “Like a Prayer,” I had brunette Madonna, which meant we were now closely connected. Did she do some questionable things in places of worship? Yes, but I was just so obsessed with that song and that video. Knox: But I did like . 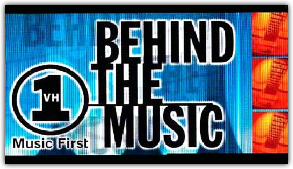 . . did you guys feel like VH1 was, like, the chill version of MTV? Like Christian parents could get behind VH1, because it wasn't so MTV. You could casually watch that. Jamie: That’s true, why was that? Jen: I don't remember either, but I do want you to listen to something about Brandon Hatmaker, the person that I'm married to, which is that to this living day, he would watch Behind the Music on the drop of a hat, any day. Right this minute if we were to say, "Stop what you're doing, because there's a Behind the Music opportunity for you to watch six straight hours of television about rock stars," he would do it. Knox: That's Pop-Up Video for me. Why are we not doing more Pop-Up Videos? Let's blow that out. Jen: Hey, that was fun. I forgot about that till you just said it. Let's bring that back. Jen: So you guys kind of answered this, but was there a moment, an age where you were like, Gosh, I am super into TV and movies and books, maybe more so than my peers, or, I think I've got something here, I might actually make a career out of this? Jamie: Well, for me, it was I went through high school, because my parents were really religious, and I had had a True Love Waits ring, and I was a self-described “Jesus freak,” but in a lovely way. I had also burned a lot of CDs to honor God. I don't know that he saw that as that, but I did it, because that was what my youth group said I should do. So when I went away to college in the big city of Atlanta, it was like people in the hall, everyone in the hall looked different from me, had come from all over the world, and they listened to this person named Alanis Morissette. I was like, "I'm sorry. Who is this?" Then on Thursday nights, we would all gather in one dorm room, 20 of us, watching Friends and then watching ER. It just became this obsession. So the internet was birthed while I was in college, in terms of like really Yahoo! and you could search for something and there'd be like “13 search results.” I was like searching, How can I know more about these actors, and what they're doing, and this is so fascinating. I took a class in college, I was a women's studies major. I took a class in like “Women Who Murder in Film,” and I was like, This is amazing. I loved it so much. Jen: Wow, that's a higher-level course, for real. Jamie: Thank you, Emory University. Thank you so much. My parents were super pumped about paying that tuition. They were like, "I'm sorry, what are you . . .? Take accounting, honey. Take accounting." Knox: See, look at you now, Jamie. Look at you now. Jamie: That's right, that's right. Jen: That's right. Who's laughing now? How about you, Knox? Knox: Yeah, so in high school, I went to kind of an intense . . . it was like your classic all-boys high school. It was just like homework and sports. So I have this four-year black hole of pop cultural knowledge in all these movies, and books, and TV shows that I didn't get to watch. So when I went to college then next year, that was like the first time I had freedom to be like, Okay, so like what's going on in the world? Who do I want to be? What do I want to do? So I made the very intentional choice to just like, I'm just going to spend this year watching movies. 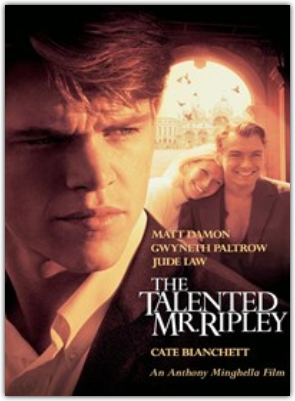 So I would just go to the used bookstore and get books, movies, and just be that weirdo who never comes out of his dorm room, but he's watched The Talented Mr. Ripley 15 times, and he's here to tell you that Matt Damon might be a good actor. That was when I was like, Okay, I think I really like this in a different way than most people do. Jen: I love that so much. When my roommates and I were seniors in college, we too used to . . . it was Must-See TV Thursday night, like you mentioned, Jamie. It started at 7:00 PM Was it Mad About You? Was that the very first? 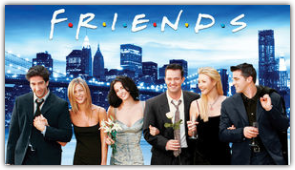 Jen: Mad About You, and then it was, of course, Friends. What else did we watch? Jamie: There was always a rotation of like shows that didn't . 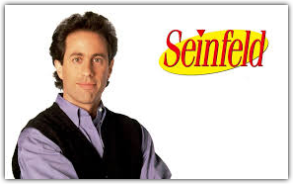 . . Seinfeld was in that for a little bit, but then it went off the air, and then there would be shows with like Lea Thompson, or Brooke Shields in a . . .
Knox: Hey, you put some respect on her name. 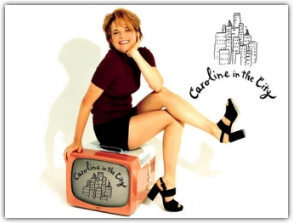 That's Caroline in the City, thank you very much. Jamie: Oh, that's right. Caroline in the City. That's right. 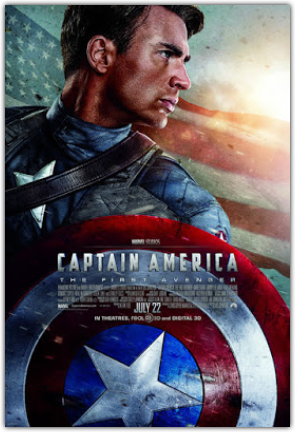 Jen: Then, of course, ER capped it off. So 7:00–10:00 PM, and called our moms to just figure out . . . we decided to cook ourselves a grown up person's dinner every Thursday. Our moms would suffer our Thursday phone calls for like, "How do you make fried chicken?" or whatever the thing was. So that is giving me a lot of nostalgia, what you're saying right now. Okay, let me ask you this. I'm sending this to you, Knox, because you just released your very first book, kind of about this time in your life. It's called The Wondering Years, hilarious, hilarious. Congratulations. Will you tell my listeners about your book and please don't forget to tell everybody about your time as a canine evangelist. That's important to include. The first time you got punched in the face. These are just some things I want them to hear. Knox: Thank you. I appreciate that. Yeah, you know, it really has . . . the book's been like a lifelong dream, so it's a fun time right now. But basically, in a nutshell, The Wondering Years, it's about growing up in the church and being someone who really loved God, but also being someone who had a difficult time intersecting with him in the traditional ways. So I would go to church as a kid, and I'd see people like loving church and being on board with everything. But for me, I was like, "Hey, does this feel boring to anybody else? Because it's very boring to me right now," or like, "Hey does this Old Testament just feel crazy? Is this nuts what's going on here, or is that just me?" My personality type, I'm a very inquisitive person, I have lots of questions about stuff. The thing that really made an impact on me was it seemed like anytime I asked a question as a kid, the question was treated like it was an indication of faithlessness. It wasn't that I was faithless. I was actually probably faithful probably to a fault, as some of the chapters talk about in the book. Fundamentally, I just really wanted to understand God. 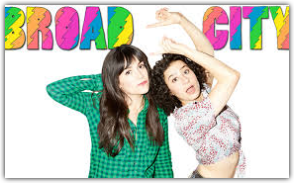 So I turned to pop culture, not necessarily to find God, just because pop culture's rad. I like movies, and books, and TV shows. It was there that God found me and spoke to my heart in really vivid and profound ways. So the book is about my experience of finding God through the prism of pop culture. That's the headline that you get to get into the book, but I think, hopefully, the bigger conversation that the book kind of teases out is if you have questions about God, he's not scared of that. Don't feel shame in wanting to better understand why you believe what you believe. Two, for me, the unconventional prism of understanding God was pop culture. That might not be it for everybody. I'm certainly not saying that. That was it for me for sure, but for other people, it might be like quilting, or knitting, or Patrick Swayze. Whatever that is, there's something out there. I think the realization was God is never more apparent or powerful than when he shows up in a place you don't expect. As a kid, I grew up thinking that I could only access or understand God in church, and on Sundays and Wednesdays, or in Christian books, or Kirk Cameron movies, or Left Behind books. But really, God is God, and you can find God, and he can intersect with you and resonate with you anywhere. Jen: That's so great. How did you like the writing process? Knox: You know, it was . . . I had like 25 years of wanting to write that I had a lot of heart, but not a lot of good prose at the beginning. So the first edit was a very humbling experience. I remember opening that first draft and seeing all the red marks, and just closing it and being like, Well, maybe that's not real. But I really enjoyed the editing process because it was that first time of being like, "Hey, so you said this. Why is this good, and why do you believe it?" There was something really nice about having to expertly understand why you say everything you say. I'd never really done that before. So I really, secretly enjoyed that process. Jen: All right. So tell us how you two met. How did you meet? What did you guys bond over? Then, how did you decide to start making a podcast together? You want to start that, Jamie? Jamie: Yeah, so we met on the internet, like all solid business relationships start. We met in a writing forum where other people like Shawn Smucker and Jeff Goins, people who are writing legitimate books and lovely things. And then I was in there just because I was like, Ooh, a fun thing to join. And then Knox was in there, and he seemed different. He was interested in writing, but he wasn't the hustler in the group. He would also make pop culture references and I was like, Hello, who is that weirdo? Excellent. So because we were both bloggers, we ended up going on each other’s—because that's what you're supposed to do, right? You're supposed to guest host on each others' blogs to help grow your blog—and then I realized he wrote these really intense 7,000-word recaps of The Bachelor, the TV show. Jen: Right. Right. You like hate-watch it, which is so fun to do. Like, This is so beneath me and yet I think I have 7,000 words to write about it. Knox: Right? That's insanity. Why would a normal person do that? But I think when you want to write, you will talk yourself into any premise for writing, even though it's completely inexplicable. Jamie: So that's what we started in a podcast. 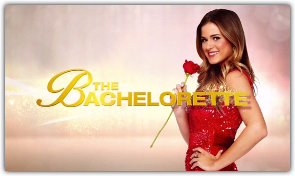 Before we even started The Popcast, we were like, “Let's recap The Bachelor!” It was actually The Bachelorette, for those who know The Bachelorette, it was Des' season and we recapped it, and we had a really good time doing it. It wasn't like a business plan. There was no strategy. We didn't do all the things that Michael Hyatt told us to do about launching a platform. We just literally started recording conversations about Anna Kendrick and Instagram and Emojis. Jen: So how do your tastes in shows and in music and in pop culture in general balance each other out? Knox: You know, the way I like to look at it is, I think the differences in our Enneagram are certainly there. But I think just philosophically, I try to see the world as it is, and I believe that Jamie sees the world as she hopes it to be. And that's the just the natural tension for every single episode. Jen: That's a nice way to put it. Jamie: What happens is, weirdly, the things we love, he will love a lot of things that are hopeful because he's trying to balance out his very dark perspective. Jamie: And I tend to watch Zero Dark Thirty twenty times in a row because I'm like, This is so sad, but it makes me feel things and I don't normally feel sad. This is such an adventure. So I argue that he has really great taste in movies, where I tend to have probably bad taste in movies because I think Drew Barrymore is the best actress of our generation. And then, I have really good taste in books, and he has too many children so he can't read that often. Jen: That's fair. That's fair. Jen: Kind of like this: we can't all be good at everything. Jen: Of course, this is subjective so anybody who wants to argue Drew Barrymore's credentials can fight us. Jen: So podcasting, when did you guys first start this? What year was it? Knox: We had both been podcasting, I don't know, half-effortedly, maybe? A little bit? 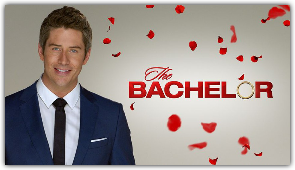 Then in 2013, we started recapping The Bachelor. We used the last episode of that, and we kind of pushed it into The Popcast. Probably the worst brand name for a podcast that could have ever been thought of but probably for the first two years of our show we didn't take it super seriously, but we had a lot of fun. So we did. We really kind of hunkered down and made some goals. We did really actually normal, healthy business things. It was like, “Let's make some goals. If we reach these goals within the next eight months, we'll keep going. If we don't, we'll quit.” And we were in agreement. Jamie: We did. We worked really hard for eight months. And even though everybody hates the term hustle, we really did hustle and we reached all those goals. Now, we do it full time and we do actually have staff. It's the dumbest thing that's ever happened, and we're so grateful. Jen: When this kind of stuff happens—and you guys kind of caught the front edge, I think, of podcasts, when we all started going, Wait a minute. This is the way I want my content delivered into my ears. Jen: That was such excellent timing to start paying attention going, People like this, and we've got a little something here that maybe we should treat like a job. What's your favorite thing about making the show? I won't put words in Jamie's mouth. For me, I've always liked making people laugh, and I think we're getting to do something and we didn't foresee this, but the world's getting more and more serious and polarized. And to be able to allow people a safe harbor to just kind of relax and not get lectured or not have to pick sides in a death feud, that's really important to us. Something we've said like a million times is we think humor breaks down walls so that truth can enter. Jen: Love that. That's a great answer. What do you think, Jamie? Jamie: So for me, it's the same. Just the fact that you can give people—because, look, I love a good true crime podcast, I love news podcasts, and it's always at the end of The Daily. I'm like, Oh, no. So, I'm like how do I go into my day and have hope? And so it's like not that we're giving you the hope, but we're giving you an hour to go, You know what? I do want to think about what the best and worst siblings in fiction are. I do want to think about twins in pop culture, and I want to think about how ridiculous that is. Jen: Oh, it's so true. I say all the time that laughter is underrated and it's not small and it's not nothing and it's not silly, and I think we're in dire need of it. So there's something wonderfully therapeutic about putting out entertainment. Like, if that is wrong, I do not want to be right. Jen: Hey guys! Jen breaking into the show with a quick message. Does it ever feel like you are in the weeds keeping track of what vitamin supplements you should take, when to take them, and having to mess with all the bottles that get stacked up in your cabinets? I have found the greatest solution. 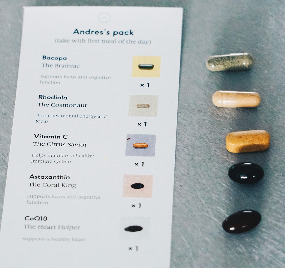 Care/of is a monthly subscription vitamin service that delivers completely personalized vitamin and supplement packs right to your door. All you have to do is go to TakeCareOf.com and take Care/of’s 5-minute online quiz that asks you about your diet, health goals, and lifestyle choices, which helps them figure out exactly what vitamins and supplements you specifically need. You guys, I got my first shipment recently, and I cannot tell you how thrilled I was to not have to worry about that pile of supplements I used to have to gather from umpteen different places! Plus, your purchase gives back because a portion of every sale goes toward the Good Plus Foundation, which provides expectant mothers in need with prenatal vitamins. We think you’re going to love this, so Care/Of is gonna give you, our For the Love Podcast listeners, a chance to simplify your supplements! Care/of is offering 25% off your first month of personalized Care/of vitamins—just visit TakeCareOf.com and enter the code FORTHELOVE when you check out! Once again, go to TakeCareOf.com, take the quiz and start getting your daily supplement packs, using the code FORTHELOVE to get 25% off your first month! Jen: So let me ask you this as I am a fellow pop culture nerd. How do you guys think the internet—I mean, obviously this is broad question—has changed the way that we consume media and talk about pop culture? Because this looks very different than the way we would've handled this 20 years ago. Knox: Yeah. I think the biggest thing is that it gave rise to the industry of analysis and criticism. I remember watching LOST and then going online and finding these recaps written by this guy at Entertainment Weekly. His name was Doc Jensen. And they were eight pages of just deep diving into the Easter eggs on LOST and all this crazy stuff. And I remember thinking, You can do this? This is nuts! Honestly, I think it was the first opportunity for people to kind of speak truth to creative power. Knox: Like, We can evaluate your stuff, and we're all here talking. And if we talk loud enough, you'll feel like you have to change stuff. But I think the biggest thing is it gave rise to self-awareness and metahumor and snark. Because I think we did an episode several years ago, and our theory was awareness killed the romantic comedy. 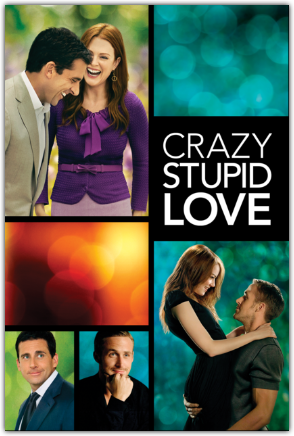 Because no one watching a romantic comedy is like, This is real life. At a certain point, the awareness level gets so much that you can't feasibly create a romantic comedy without putting a spin on it, because it's just not sustainable as a narrative. 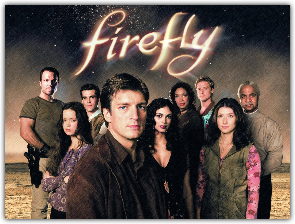 Jamie: For me, what I think what the internet did—and this is true for me—it created a space where maybe nobody in my group of friends watches the TV show Firefly and loves it like I do, but there are people on the internet who do. 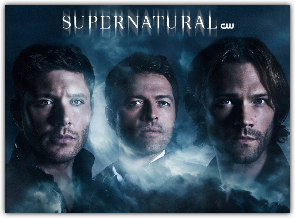 Or Supernatural. Or Doctor Who. And you can go find your nerd people. 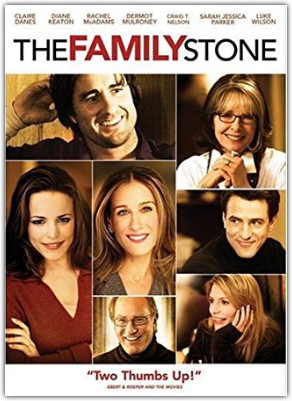 So suddenly, if you didn't have a family that loved all of TV that you loved, or if you didn't have a dorm room, if you were now living on your own and in a new city, it was like, Oh, it's okay. There are people on this hashtag who love the Royal Family like I do, and I can find them and we can be friends. And I think that's such a gift, really, when we’re enjoying something that is taking our mind off of really hard things in the world. It's nice when you can go, You understand what I'm talking about! It's such a nice thing. Jen: I mean, that's one of the key ways I feel like I bond with my online community is our shows. Our shows and our movies, and our books. 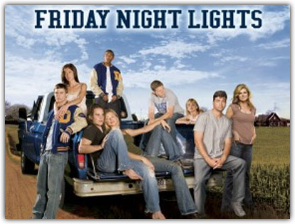 It's ad nauseum how long we could talk about Friday Night Lights. It's embarrassing, even, to the depth to which like I would sometimes go to bed and pray for the characters because I was burning. I was burning at their storylines! Knox: You're like, Where is Santiago? It's season five, and I still haven't heard from Santiago. What happened to him? Jen: It's like you want—Go ahead, Jamie. Jamie: No, I was just going to say you go, Why did they murder somebody? What's happening? Listen, Knox thinks Billy is the better Riggins brother. I don't know how you feel about that? Jen: Right. I love Billy, and I love his whole storyline. I'm not saying that he necessarily puts me in thought prison like Tim Riggins. Knox: I get what you're saying. Got it. Jen: Two different paths of assessment. I do love Billy, his character. So back to your earlier point, Knox, about sort of being able to speak truth to creators and content providers and producers and all of that. Obviously now more than ever, we are seeing so many different kinds of characters on the screen. More women, more people of color, differently abled, you just name it. We have really well-rounded characters and a lot of new representation in a lot of our shows, and I think people have been talking about this for years. So why do you think that the entertainment powers are finally listening? And what's your assessment why representation matters in our pop culture and in our entertainment? Jamie: For me, I wish I could tell you that, Oh, executives really are enlightened now and they really have changed their hearts. But really what has increased representation in movies and TV is really money. It's just money. Because Hollywood is not a ministry. It is not a non-profit. It wants to make a lot of cash. Yeah. What I love is that it doesn't make sense that there can't be a comedy on TV that's led by an Indian-American woman. That's silly. But then what happened was Mindy Kaling had a New York Times bestselling book and a highly-trafficked blog, and suddenly it was like, “Oh, maybe we can make a TV show,” and then she has a very successful TV on a network. Knox: Yeah. I just don't see how a reasonable person can be like, No, I only want the perspectives of male, mid-30s protagonists that are super-duper hot, because that's very relatable to me. Jamie: Yeah. I like that perspective. Don't get me wrong, I do like seeing it. Knox: Right. But it's like we literally we have 15 Chrises in Hollywood that are all very attractive. Like, can we settle down? We've got a guy named Armie Hammer, who I don't even know what he does well. Like, if you buy three shirts at GAP, you get an Armie Hammer, but he's still making movies. I don't know, maybe we could feather it out a little bit, spread the wealth a little bit and hear from different perspectives. It's like, why wouldn't you want to fill your worldview out a little bit more and learn a little bit more about how the world around you actually functions? Jamie: I think it's so important because too, I think about when I was young, I was this overweight, my mom put me in the biggest glasses they sold at Lenscrafters, I got a perm twice in a row in one month. Jamie: I was going through a tough season. What was great was, I was like, Jessie from Saved By the Bell is smart like me, but she is super hot. 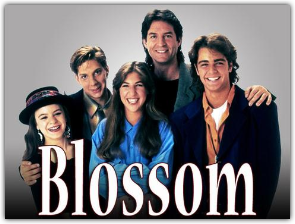 So, it was not until I met Blossom and saw Blossom and went, Oh, there's a girl that's not classically attractive, who's a little weird but who's smart and funny. And now, I can see that, like, oh, there are people like me who can be seen on TV. I'm a white girl in a privileged perspective, like, why would not everybody want to be able to see themselves represented on screen? It just seems silly that we don't think about that more. Jen: That is a great example. What do you guys think—I'm just asking you to project here—but what do you think the next wave of TV is going to look like? In any capacity. What kinds of storylines are we going to see, or characters, or shows? What about networks? Are they losing relevance, are we going to see those go bye-bye? What's your prediction for TV? Knox: I think you probably could argue that networks are pretty irrelevant, even now. 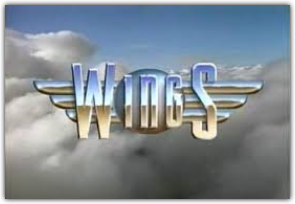 They're so stuck in the old-school, “Let's do pilots and pay people lots of money and then never actually make the show. Then if you do get made, you have to make 20 episodes,” which is just bananas. That's so many episodes of TV. How can you do that well? I think you've got Amazon, Netflix, Hulu. You've got these companies who have tons of money to throw around. They don't have a schedule to abide by, and they give their creators and actors tons of freedom. So it's like, why would you commit to NBC or ABC or CBS longterm for these long periods of time, maybe with less money? So I think you're going to see a lot more—I think we're in that right now, we're seeing Julia Roberts go to Amazon, right? I think you're going to see bigger actors come to the streaming platforms. 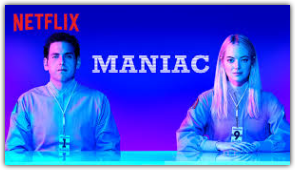 But honestly, I think we're due maybe down the road for a market correction, you will find some network be so desperate that they'll go after a forward-thinking executive like Jason Blum from Blumhouse Productions, and they'll kind of redefine how network TV is. Dovetailing off that point a little bit, for cable, we're buying Netflix, we're buying Amazon, we're buying Hulu, and then maybe CBS or whatever. And it's like our TV and our content is in so many different places, like, it takes me 40 minutes to find the show I'm trying to watch on the streaming platform. I think we're going to go back to the bundle model. We're going to wrap it all together, because ultimately we're still paying $150 for all of our stuff, you know? And I think that will play into their advantage. Jen: That's interesting. What do you think Jamie? Jamie: For me, look, I cut my cord six years ago. I don't live that Knox life, where he's got to search so long. My Roku knows where to go. But one of the things is, it's so much content. So nowadays, you can be watching a show and loving a show, and other people are like, “Where is that? I've not even heard of that.” Like, when we curate on our show and we say hey, “This is a Green Light,” people are like, “What? I didn't even know that existed,” and it will be a really great show. And so I think that content's only going to increase now that Facebook is making TV, Apple is going to start making TV. 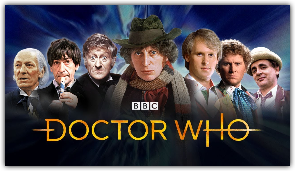 I think what's going to happen is it's going to be so niche, you're going to have that 10 episode limited series, and you're just going to hope you find it. Jen: That's great. I think it's also going to be a really positive development for creators. I've got a kid who's a freshman in college and she's interested in film and storytelling and sort of docuwork. And this is going to provide a front door for a lot of young talent to be able to create things. They're going to have so many more options. The network platform is just so elite and impossible to break into. Jen: Here, with all this diversity of possibility, I think we're going to see some real up-and-coming content creators too, and that excites me that you don't have to be just a who's-who in a very elite world in which we kind of get the same content from the same players. Jen: It's going to be great. Also, I'm saying this because I would like my child to have a job. Jen: I'm invested in her future, but with a payback. 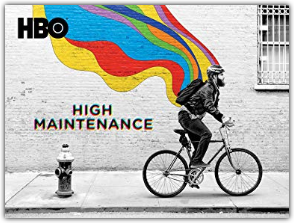 Jamie: There are shows like High Maintenance on HBO and Broad City on Comedy Central, those all started as web series by their creators who just put it up on YouTube. Now they're employing tons of people and they're getting to make their product for millions of viewers. So, it's a little NSFKM, but it's called Next Time on Lonnie. and it went on YouTube. This guy did a season, and it's basically like a send-up of those old MTV shows like The Hills or Laguna Beach? They would be very melodramatic, and they'll be like, "Next time on Lonnie," and just the most bonkers, crazy stuff. It's like aliens are invading, the apocalypse is happening, and they're just treating it very casually. He did a season of that, and then Ben Stiller watched it, and now he has like a TV deal. Like, there's just the democratization of content and ability to get stuff out there, it's encouraging. You have to be great or you have to have swelling of support for you. But I think having the option like, I like the idea that I can bet on myself if I can do a good enough job, you know? Jen: You guys, let's go back just a little bit because obviously, we haven't always been able to get our TV on demand. Because I'm just telling you, it's just a good time to be alive right now. Binge-watching makes me glad to be a human person. Jen: What would you guys say, what are the shows that came out way before the advent of Netflix or Hulu and everything like that, in your opinion, that people should go back into the archives and binge-watch? These are like the old timers that we're like, This is worth a solid 39 hours of binge-watching. Jamie: And that's hard. 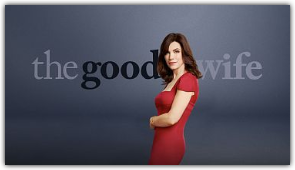 I'm an ADD survivor, and it's hard for me to go, Sure, watch 130 episodes of The Good Wife. It's hard to say that. Jen: That show was funny. Jamie: So funny, we love it so much. 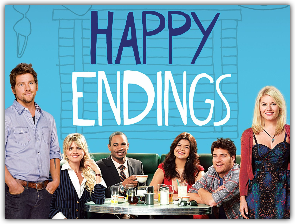 I think it's a perfect show to go, Hey every night when we're making dinner, or trying to go to sleep, instead of watching the news that's debilitating our spirit, let's be a little less informed for 22 minutes, and let's watch an episode of Happy Endings. Jen: That's a great suggestion. I remember thinking that was so well cast, and the writing was clever, and it didn't get good attention. 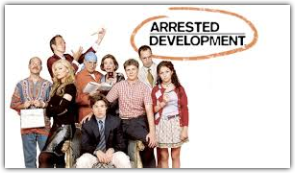 It was a lot like Arrested Development, that was so outrageously smart, and fresh, and innovative, and new, and just did not get the attention it deserved, but did sort of have this resurgence now that everybody could go back and pick up what they missed. Jen: What do you think Knox? Knox: You know, I would say. . . I'll cheat a little bit, this is maybe more back in the day, you couldn't just stream it, you had to like wait like an animal for the DVDs to come, you know, and then binge it like that? I've got two. 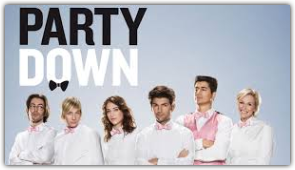 Party Down, this was a show, I think it only went two seasons, but it was about. . . It was I think Rob Thomas directed it. 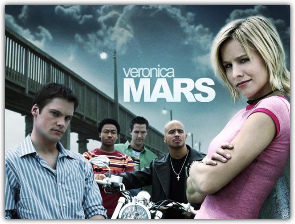 He did Veronica Mars. But it's about a group of caterers. And every episode they'd go to a different party to cater it, and you know hi jinx and drama would ensue. It's Adam Scott, Lizzy Caplan, Jane Lynch. It's a very, very funny half hour. Then probably my personal, most underrated that missed the binging window is Justified. 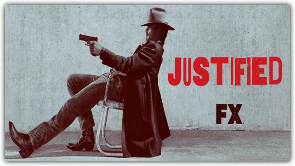 It ran on FX. It's Timothy Olyphant and Walton Goggins. It's like an old-school Western, but in modern times. And I love it so, so very much. Jamie: It's such a good show. It's so good. Jen: Okay, I'm gonna make sure these are all linked, so that we can be ensured of wasting a lot of time. Knox: A hundred percent, yes. Jen: Let me ask you this. Holidays are obviously coming up. 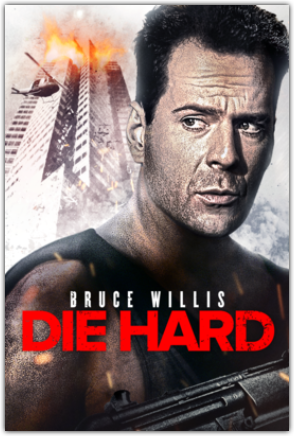 We have our traditional favorites that we watch in the Hatmaker house, like Die Hard, that feel-good Christmas movie that we all love. What are your suggestions for the best TV or movies for family gatherings, Christmas stuff? What can we turn on that's gonna work with the family in the room and delight all of us? Knox: Okay, listen. I treat this very seriously, and I go hard at this question. So, I'm gonna give you one to watch, two to not watch. Knox: We ride or die here at the McCoy house for The Family Stone. It's very close to our heart. Knox: It's so good, we love it. It makes me cry every time and I'm not inherently a crier, so I love that movie. I love Craig T. Nelson. I think it's okay to watch Elf, but the first hour. Guys, no one talks about the last hour of Elf, and it's crazy. It falls apart, it falls to pieces, so do not feel obligated to watch that. Also, this might be a little spicy, Jen. I don't know how you feel about this, but It's a Wonderful Life? That's a terrible movie. 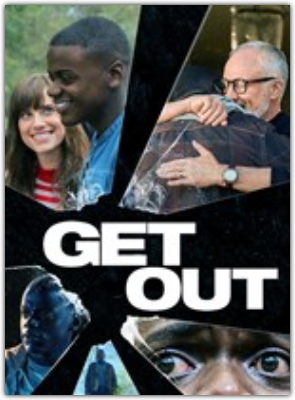 That's a garbage movie. You don't have to watch that. Be free from that, my children. Do not watch that. Jamie: Listen, for my holidays, I like a nice Mean Girls. It's an underrated Christmas movie. Nobody thinks of it as that. Knox: A hundred percent not a Christmas movie. Knox: There's literally a Halloween scene in that movie. Jen: Is that what that was? Jamie: That movie is so brilliant and fantastic. There is a great Christmas scene, so I don't know why it's not a Christmas movie. Die Hard, set at Christmas, and we take out Hans Gruber. How great is that? 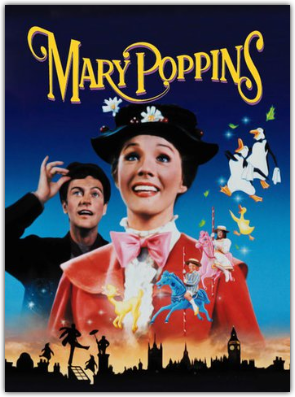 I also like Mary Poppins, Captain America. I know you don't think those are Christmas movies, but guess what? The movies you watch at Christmas are whatever you want them to be. Jamie: You just decide what you want a Christmas movie to be, and then it's a Christmas movie. Knox: Right, Christmas is a spectrum, essentially, and however we need to apply that to our lives. Jamie: You're not the boss of me. I decide what a Christmas movie is. If Zero Dark Thirty is a Christmas movie, I decide. I decide! Knox: Okay, wow. You're the captain now. I get it. Jen: Wow. I would like to volunteer a real controversial position. Jen: On this question—and this is really, my community is very starkly divided on this, and I made a lot of enemies. Jen: On this, and I'm not sorry. I'm not a bit sorry, and I stand by my position, which is I hate the movie Love Actually. Knox: Ohh! I love it, I love it. That's spicy, and I love every bit of it. Jen: I'm just, you know what? I'm here for hating on that movie. I think it's depressing. I think the characters are ne'er-do-wells. Absolute ne'er-do-wells. I think it's sad, and it's got a lot of cheaters in it, and I say no to it. So that's just . . . I said what I said. Last, let me ask you this and I each want you to answer this. What do you think is the most underrated TV show on right now? 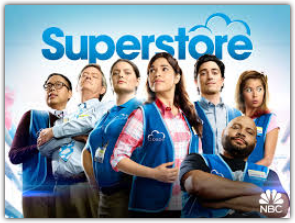 Jamie: For me, it is the TV show, the comedy Superstore. 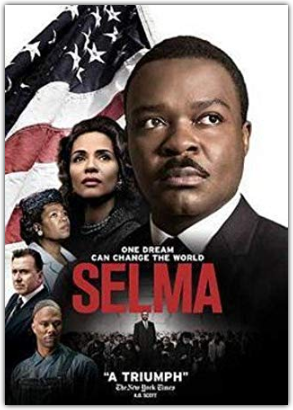 It's on NBC and it's America Ferrera leads a really gorgeous cast. It's set in kind of a Costco, Target, Walmart hybrid, which is a superstore. It's just all the people you meet. You meet the teenage cashier, you meet the pregnant mom, you meet the dad who is in a wheelchair. You meet all the different people who are crazy. If you've ever worked retail, you're like, I know all those people. If you've ever been into Costco, you're like, What's going on here? What's going on in the life of the show? It's just a really funny, light-hearted, and I just don't think it gets enough credit for—and what's beautiful is, it really is such a diverse cast. It has great writing. Just laugh every time you watch an episode. 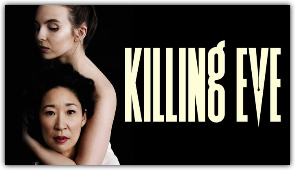 Knox: So for me, the most underrated TV show: this is one, it got a lot of love, but not enough, and I don't think a lot of people watched it, and it definitely didn't get enough award-show-season love, it's Killing Eve. This is actually, Jamie recommended this as a Green Light on our show. I was very cautious about this. I didn't trust Jamie, but I started watching it and immediately, it's so good. It stars Sandra Oh from Grey's Anatomy. The main character's Eve, she is a. . . or, not Eve. There's a serial killer, and Eve is trying to track her down. And it's just kind of weird and quirky enough, but also it's got a great procedural plot to it that makes it super-duper interesting. Jen: Very good. Okay, so that's. . . We are at the end, so here's what's gonna happen. This is really fast. Jen: These are like rapid-fire questions. Okay, here's the first one. What was your favorite TV show when you were a kid? Tip, top favorite. Jamie: My favorite TV show when I was a kid was Designing Women, and it's because I wanted it to be Scooby-Doo, my mom wouldn't let us watch it because the only mystery we were allowed to solve was God. 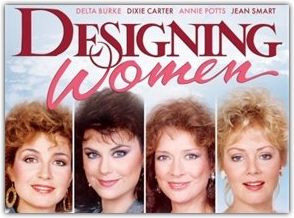 Jamie: We could not watch that, but Designing Women because look, I watched that show and I was like, Oh my gosh, am I Suzanne Sugarbaker? Well, no I was not. So then I thought, Maybe I'm Mary Jo Shively. I pretty much figured out I was Bernice, which she wasn't even on the show very much, but I'm like a little flighty, but a good time. I love that show. 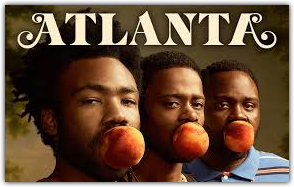 It just made me want to move, to like Atlanta, even though they were filming in California, but I was like, I'm gonna move to Atlanta and live in that two-story house, it's so magical. Jen: I love that show so, so, so much. Okay, what about you Knox? Knox: Well, I had two. The formative years was Saved by the Bell and 90210. Those are like, that did the most for me as a kid. When I actually became someone who thought about stuff, it was probably Chappelle’s Show, 'cause I remember specifically, the episode where they did the racial draft, I was so jealous and overjoyed at the brilliance of the episode, I had to talk to someone and I couldn't find anyone to talk to. So I called my mom, and I tried to explain what I had just seen, and I sounded like a crazy person. 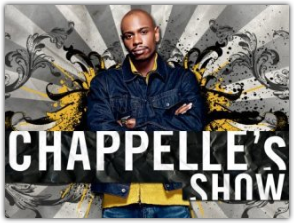 But I just think Dave Chappelle is a genius, and that whole show was transformative for me. Jen: I love Dave Chappelle. I think he is absolutely a gem. I love everything he has to say. Okay, here's the next one. If you could pick any actor to portray you in a movie about your life, who would it be? Jamie: Okay, I know that people would say to me that it needs to be Melissa McCarthy because we do look a lot alike, and that is a treat. I think she's a great actress. However, this is who I want, and I think we need to step outside of who we look like and just go all in. And I want it to be Emma Stone, particularly from Easy A, or from Crazy Stupid Love so that somehow Ryan Gosling does show up in the movie of my life. That seems like the right plan for me. Knox: I like that. That's good. Jen: Not only right, but possible. Yeah, how about you, Knox? Knox: I feel like this is a bit of trap questionn, because it's, if you could pick any actor to portray you . . .I wanna pick Brad Pitt. I don't think I look like Brad Pitt, but I feel like if I do pick Brad Pitt, it'll make people think that I think I look like Brad Pitt. But I clearly do not think that. 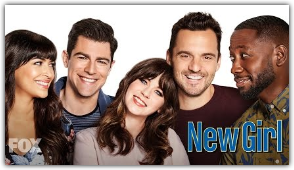 So, I'm gonna say, attitude, it's Nick from New Girl. I think his name's Jake Johnson. 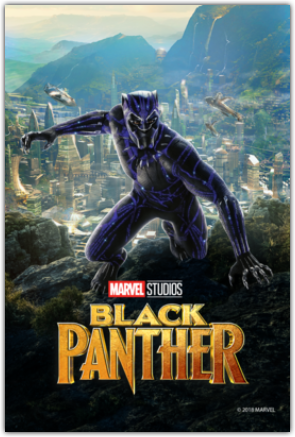 But physicality, I look like really anybody who the Black Panther beats up in the Black Panther movie. Any white guy that Black Panther beats up, that's probably me. Last question. This is a twist on our favorite question from Barbara Brown Taylor that we ask in every series. 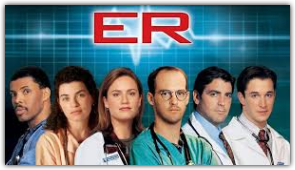 Do you have a TV—this does not have to be serious, like, legit saving your life—but do you have a TV show that is saving your life right now? What's your biggest Green Light, like, This is keeping me afloat. Jamie: I watch shows for sure that are like, you watch them for two days and then you're done. So it's not like always an ongoing thing. 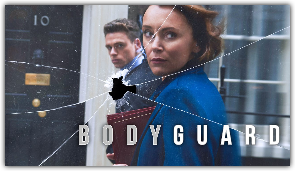 So I love Maniac on Netflix, and Bodyguard on Netflix because Richard Madden is very hot, and that is life saving. 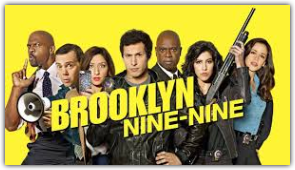 I would say the thing that I watch every week when it comes on is Brooklyn Nine-Nine. Jen: It is so funny! Jamie: It is the funniest. It is the most perfect cast, and Andy Samberg is a national treasure. It is just a beautiful way to spend a 30 minutes. It's so good. Jen: That's a great answer. What about you, Knox? Knox: For me, I'll treat this as two parts. So, what's saving my life right now? I just finished catching up on Atlanta. I love Donald Glover. I love what he's doing with Atlanta. It's so weird, and bizarre, and perfect, and I think he's super creative. My biggest Green Light, right now, I would say Survivor. Knox: I love Survivor, I've watched all the seasons. 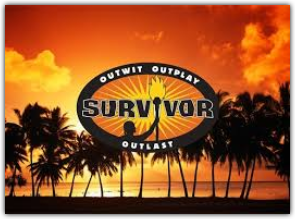 This current season's a little slow, but I will always tune in for Survivor season. Alright you guys are delightful and hysterical. And Jamie, can you just tell everybody really quickly where to find you, what they need to look for, all that? Jamie: Yes. We can be found at knoxandjamie.com. We have obviously The Popcast, which is a show about pop culture that we host every Wednesday. 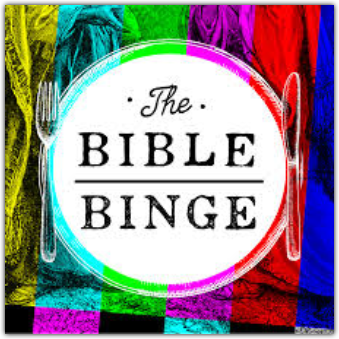 Then we also are in the midst of, we have a second podcast called The Bible Binge, where we recap Bible stories, just like you would recap The Bachelor or Game of Thrones. We have three seasons right now. We just finished a season all about David. If you're a pop culture fan and a Bible fan, it's like the perfect baby 'cause we really do kind of walk through the shows of how . . . I don't know, y’all, but the Bible is full of dope stories. We cast all the characters and give them Hollywood actors, so that people kind of imagine them more. You can also find out all about The Bible Binge at knoxandjamie.com. We're @thepopcast on Instagram and Facebook and we're @popcastpod on Twitter. Jen: Oh my gosh, that is so, so funny. Listen, everybody, I'm gonna have all this linked over on the Transcript page at jenhatmaker.com. 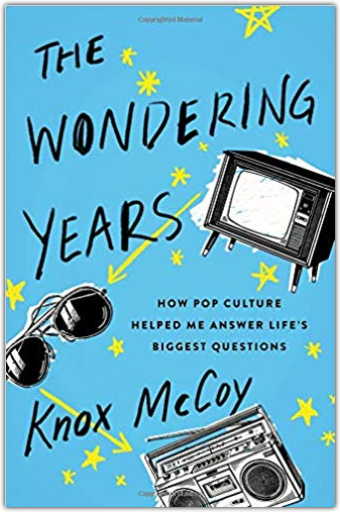 Every single thing that we have mentioned, I will have a link for you, including a link to Knox's new book, The Wondering Years, and all of the funny and wonderful things that you put out into the world. I'm so happy that you both live. I'm so happy that you are entertaining us. Thank you for being awesome. 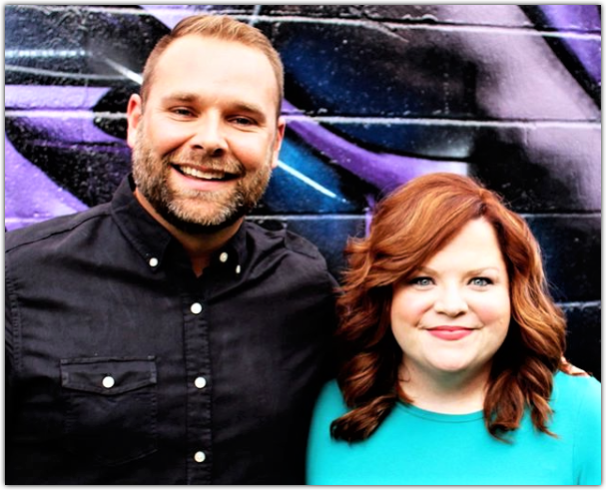 Thank you for wrapping up the series on TV with me here on the For the Love Podcast. You are two dreamboats, and I'm completely into you. Jamie: Thank you, Jen! Happy watching to all your listeners and to you. We love finding pop culture nerds wherever we can. Knox: Thanks so much for having us. Jen: Wow, those two are absolutely hilarious. I enjoy them so very much. So many shenanigans. Their show is so fun, you guys. I mean you will positively want to subscribe to it, if you don't already. You absolutely become a new fan of The Popcast, and I am so thankful that they popped on here to help us close out this very fun series on TV. Gosh, this one had some awesome guests, didn't it? I'm so lucky. All the time I pinch myself. I can't believe this is my job and I get to talk to these amazing people, and have you as a listening community because you are the absolute best. Thanks again, you guys, for being such great listeners, and always sharing these episodes with your friends and your folks on social media. You've brought us so many new listeners, and I love it. So, if you can think of somebody who would love to hear this episode, just pop it over to them. With that, that wraps up our For the Love of TV series. If you've missed some episodes, go back and listen 'cause this one was a real fiery, awesome series, for sure. We've got a whole new series starting next week that you are going to love, and it is so good, and I have so many people coming on who are game changers. So, do not miss it. Come back in here next week when we start a brand new series, and I can't wait to have you. You guys, have a super week. B.A.R.E. Soaps offers all-natural soaps and candles that support women in India with fair wages. B.A.R.E. has beautiful gift sets to make giving even more special this holiday season. AND just for our listeners: you can get 15% off your purchase with code JENHATMAKER15. 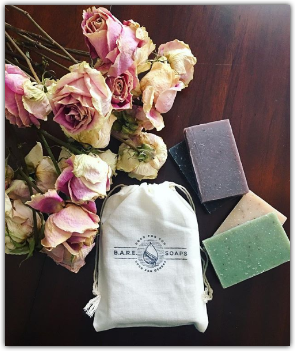 So head over to bare-soaps.com and use the code JENHATMAKER15. Looking for a treat to serve at the holidays? 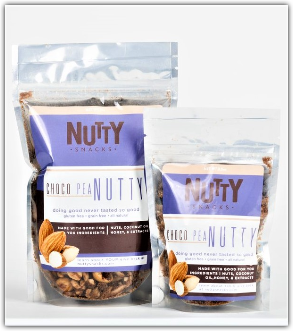 Nutty Snacks are all-natural snack mixes that are gluten-free and grain-free. Vanilla. Cinnamon. Chocolate-peanut. There’s a Nutty Snack for every taste! And just for our listeners: get a limited edition “For the Love” snack mix for FREE with any purchase! Go to NuttySnacks.com and use the code "ForTheLove" at checkout.